Gotta admit, I don't personally know what this polish is inspired by...not seen many Halloween movies cause they just make me laugh. 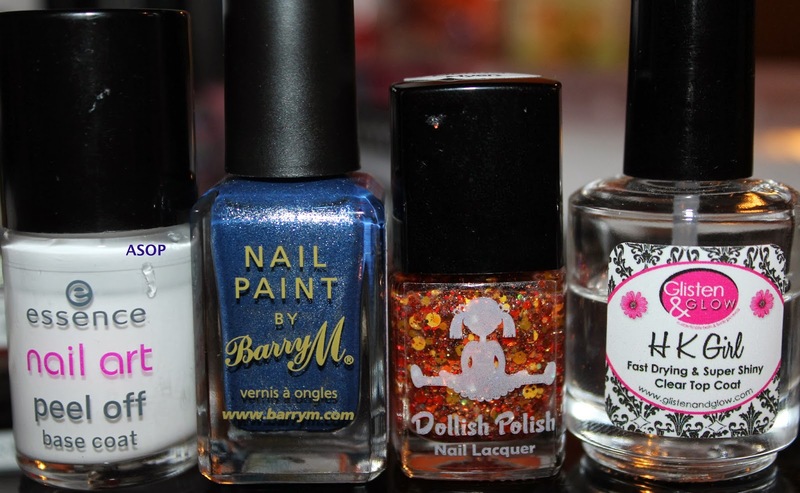 I started with one coat of Barry M's 'Denim' which is an amazing polish with a gorgeous colour! 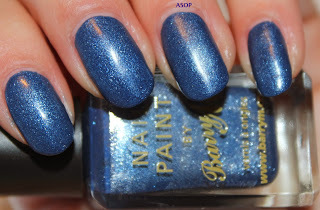 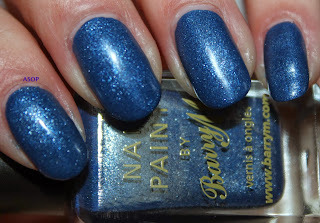 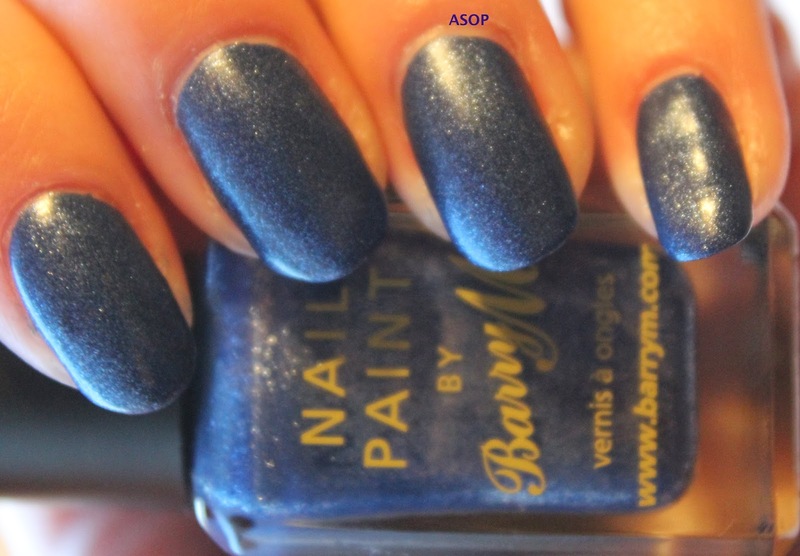 It's name definitely suits it, it is a dark denim blue with a silver shimmer. 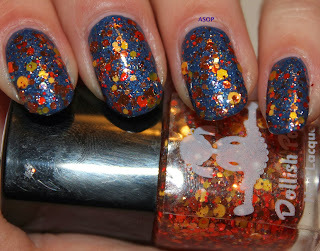 It was opaque for me with one coat and dries pretty quickly! 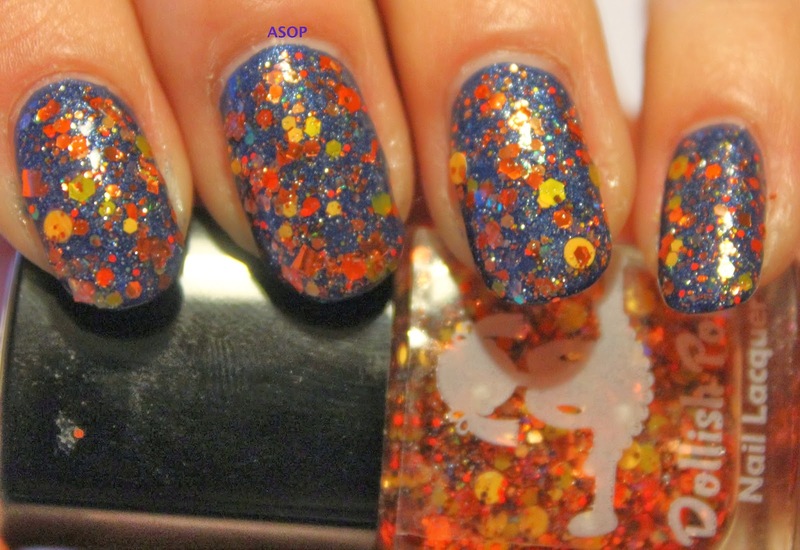 It dries with a matte finish and gets a gorgeous shimmer when topped with a good top coat! 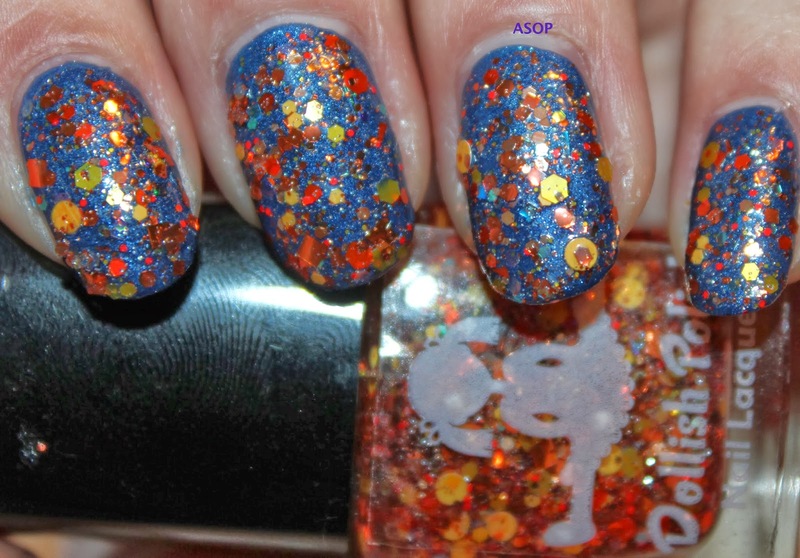 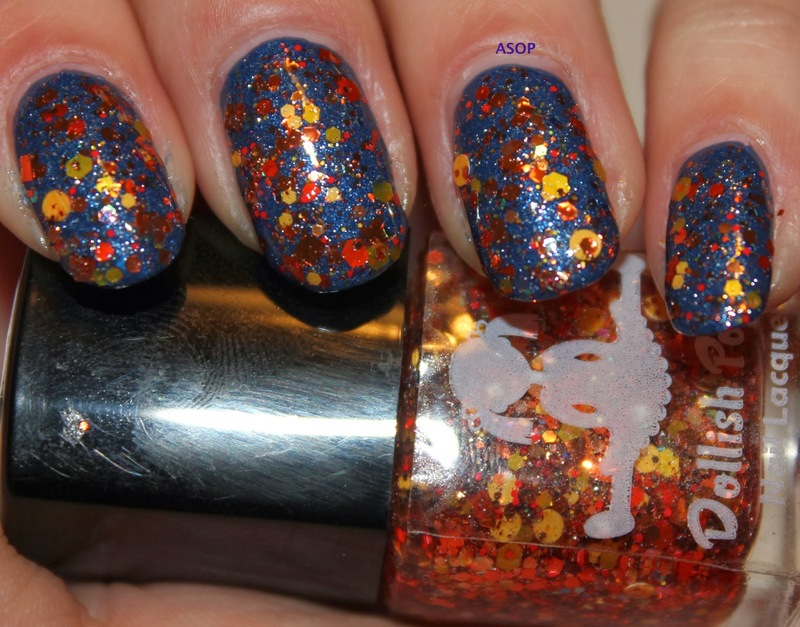 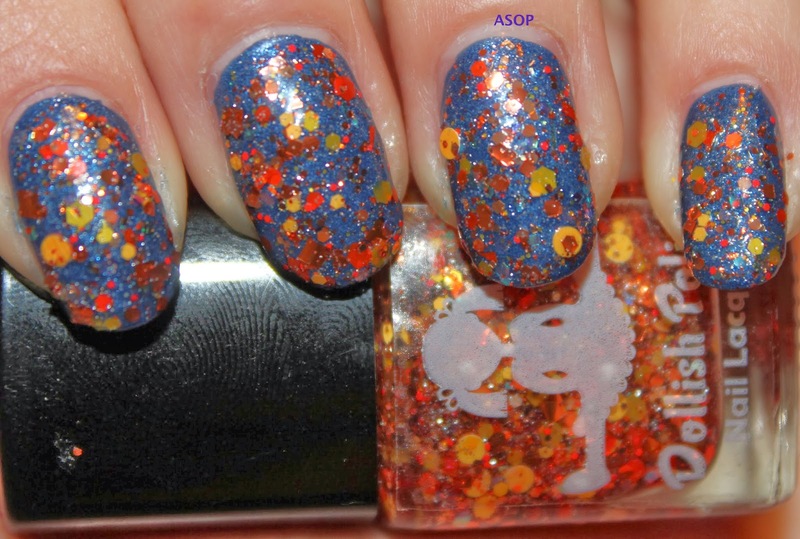 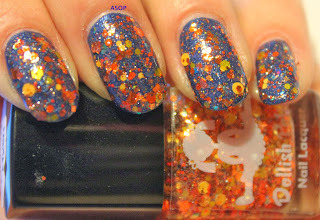 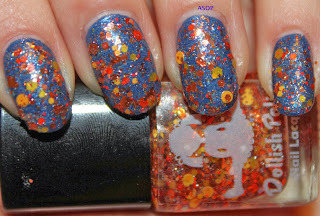 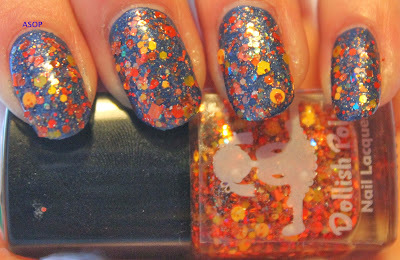 I then topped Denim with one coat of Dollish Polish 'The Curse of Michael Myers' which is a really pretty glitter topper. 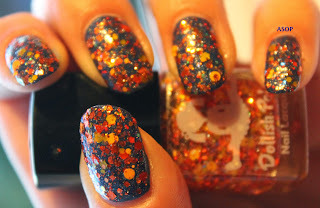 It has iridescence, and a mix of orange and yellow glitters in different shades, sizes and shapes, including; hexes, dots, squares and shreds. I love it! Helps that it's my favourite colour ;) but I think it really goes nicely over Denim!